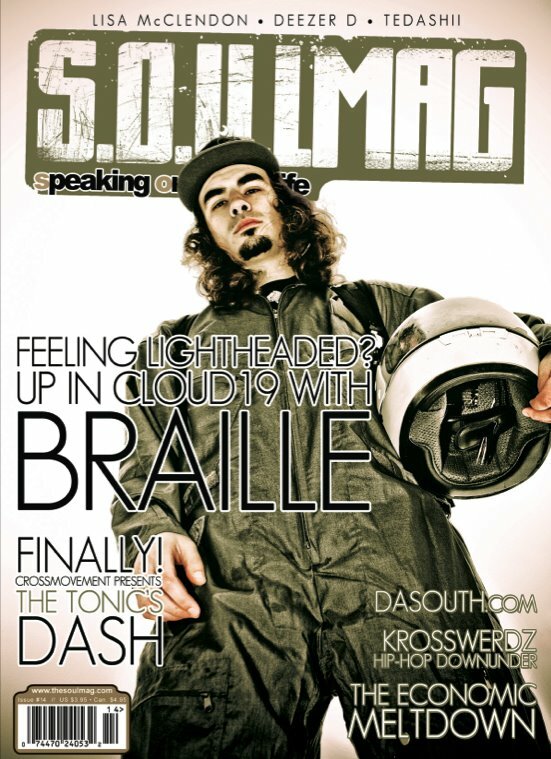 Syntax Recording artist, Braille is featured on the cover of issue #14 of S.O.U.LMag. Pre-order your copy at our store and get a free copy of Braille’s latest release ‘Cloud Nineteen’! “We are very excited about our 2009 issues. Kicking of our official subscription year with one of the hardest working and one of the most humble men in the business is Braille” said Spec the Creative Director at S.O.U.LMAG.